ACKNOWLEDGEMENTS: We would like to thank the researchers from the United Daughters of the Confederacy, Chapter #2635 and the "Delaware Grays" Camp #2068, and the actual descendants of the soldiers listed, and other contributors, for donating genealogical and relevant information so we may compile a first ever roster of these Delaware Confederate citizens and soldiers who served the South. Included in the list of these contributors are Beth Manchester of the United Daughters of the Confederacy, Chapter in Hartford Co., MD; Mark Wade of Maryland, owner of Rebel Yell Books; Ms. E. Anne Happoldt; the Georgetown Historical Society and Mr. James Bowden of Georgetown for newspaper articles and compiled bios of several of the soldiers on file, and others who we may have overlooked. In their memory, we thank you all. Note: If you are looking for a specific soldier and know their last name, press "CTRL" + "F" (both keys at the same time) and enter in the soldier's last name into the search box; this will take you to their section (unless there is more than one soldier with that last name; in that case, enter in the last name followed by a comma and their first name or look through until you find the correct soldier). ~ Aldridge, William A. (Alternate spellings: Alrich/Aldrich); chaplain (field & staff), 1st Virginia Infantry, "William's Rifles", Terry's Brigade, Pickett's Division, Longstreet's Corps, Army of Northern Virginia. Resided in Wilmington, DE¹. One of his muster rolls states that he's of the Presbyterian faith. Post-war Episcopal priest. Age: 44. 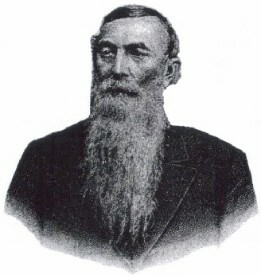 Born: 1836 in Delaware. Spouse: Mary B. Parents born in Delaware. Occupation: Clergyman. Reference: 1880 Census, Callands, Pittsylvania, Virginia. William A. Aldridge: 1885-1889; clergyman's official reception into the diocese. Soldier added to the Delaware Confederate Monument on May 30, 2011. ~ Allen, William A.; Private, "Young's Company", Virginia Young's Cavalry. Enlisted 09/01/1861 at Norfolk, Virginia. Last known record: on rolls 10/31/1863. Resident of Seaford, Delaware. Reference: A) 1860 Federal Census, household #168, Northwest Fork Hundred, Seaford, Sussex County, Delaware. Enumerated ninth day of June, 1860. Roll no. M653_99, page 822, image 603. B) Tatanall Tombstone Collection, page 58, "Sussex Farms Cemetery": Wm. A. Allen; died 04/16/1864, age 32, 8 months, 6 days. C) 1870 Federal Census, Seaford Hundred, Subdivision H2, Seaford, Sussex County, Delaware. Enumerated June 6th, 1870. Roll #M593_122, page 765, image 754. Household #46; Allen, William; age 6; son of Elizabeth and deceased William A. Allen; born January 1864. Soldier added to the Delaware Confederate Monument on May 12, 2007. ~ Allison, R. C.; military rank, regiment & company needs further research. Attended Delaware College (modern-day University of Delaware) (1849) before entering Confederate service. ~ Allrich, John Roberts; Pvt., Co "E", 9th Virginia Cavalry. Other Info: Age 27 (1870); born about 1843 in Delaware. Enlisted and discharged as a private. Reference: St. George's Hundred, New Castle, Delaware, 1870, Roll #M593-120, pg 736, Image 694; St. George's Hundred, New Castle, Delaware, 1860, Roll #M653_96, pg 857, Image 161. ~ Atkinson, William A.; Southern sympathizer and pre-war sheriff, post-war Delaware congressman. Arrested and taken prisoner March of 1862 in Dover for having secessionist feelings, and later sent to Fort Delaware. RESIDENCE UNDER RESEARCH. ~ Bagby, George William; rank, regiment & company unknown. Attended Delaware College (modern-day University of Delaware) and later enlisted into Confederate service. Was a famous writer. Dictionary of American Biography, Vol. XIV by the American Council of Learned Societies, page 492-493. ~ Baker, James P.; UNDER RESEARCH, Sgt. and Pvt. , Co. "D" and Local Defense, 3rd Virginia Infantry. Other Info: Resided in Georgetown, DE; mustered in as a Sgt. June 30th, 1863; discharged as a Pvt. (Barker) Listed on the 1867 map of Georgetown, Delaware, the 1850 census as age 49, and the 1860 and 1880 censuses. 1860 Federal Census, Broadkill Hundred, Sussex, Delaware; Roll: #M653_99; Page: 671; Image: 451. ~ Barr, Joseph M.; rank unknown, 146th Virginia Militia, Co. "D". Attended Delaware College (modern-day University of Delaware) before entering Confederate service. ~ Bayard, Thomas F.; involved with Delaware Southern militia known as the "Delaware Guards". Listed as attorney-at-law; age 31. 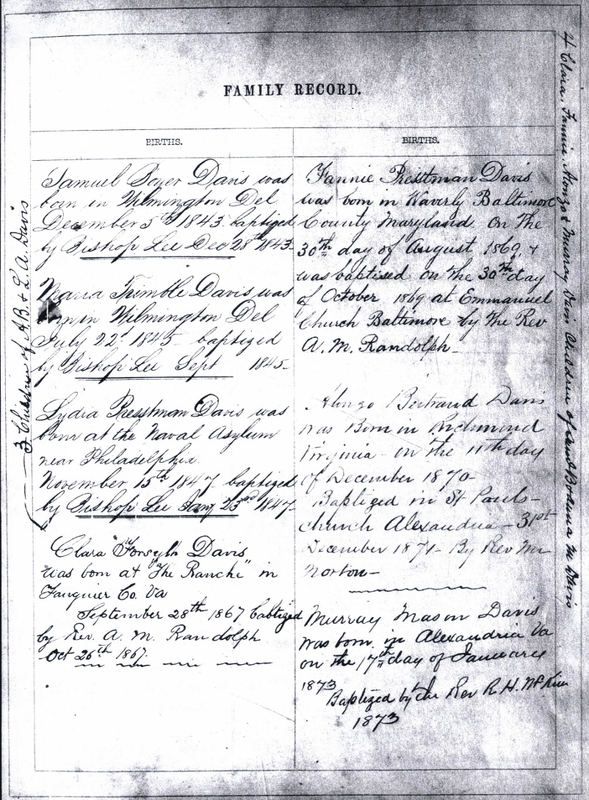 Reference: 1860 Federal Census, Wilmington Ward Four, New Castle, Delaware; Roll: #M653_98; Page: 148; Image: 468. 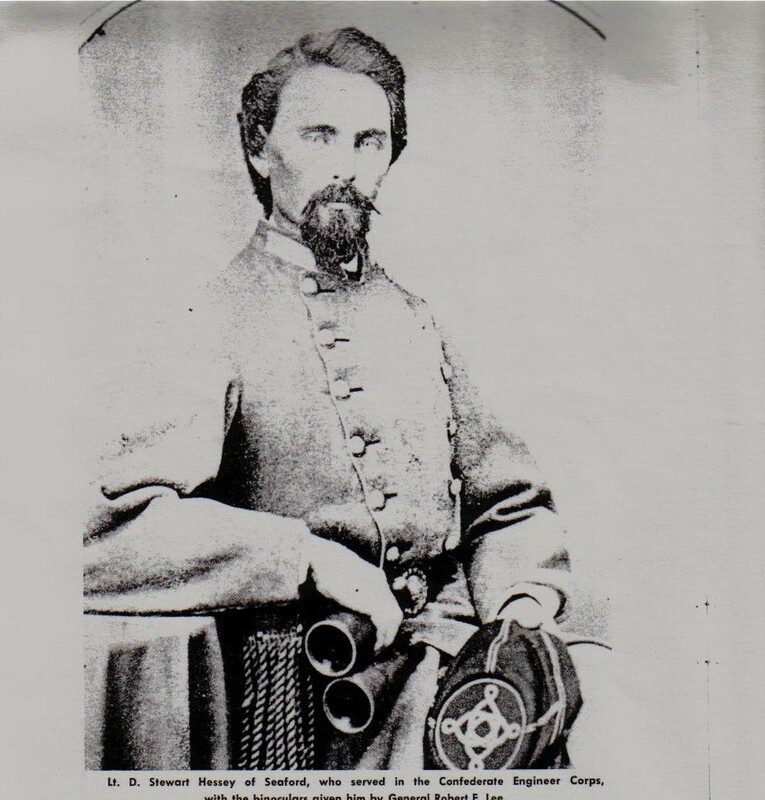 ~ Baynard, Thomas Hardcastle; UNDER RESEARCH, rank unknown, 23rd Virginia Cavalry and 62nd Virginia Mounted Infantry. Other Info: Resided in Wilmington, DE; occupation: farmer; home was "Woodlawn" in Vernon, DE; went South August of 1862; born September 24th, 1840; died March 18, 1876. ~ Bedford, William; rank unknown, possibly 2nd Tennessee Cavalry, company unknown. Attended St. Mary's College in Wilmington, DE from 1857-1858. ~ Bell, Henry W.; Private, First Battalion Maryland Cavalry, Co. "A". ~ Bird, Charles Dupont; sympathizer from Dover, DE. Other Info: Bird was a student at Loyola College, MD during outbreak of war; sent a letter to Governor of Virginia which was forwarded to General Robert E. Lee giving details of his family's gunpowder factories in Delaware and how they could be taken by secessionists and destroyed. Reference: Official Records, Series 1, Volume 5, Part 2, pg. 46. "A strong feeling in the two lower counties of Delaware is aroused in favor of Delaware joining the Southern Confederacy..."
~ Blandy, Thomas R.; Private, 18th Virginia Infantry, Co. "G". Attended Delaware College (modern-day University of Delaware) before entering Confederate service. * Soldier and information researched and contributed by Ms. E. Anne Happoldt of Dover's Colonel Hasslett Daughters of the American Revolution chapter Soldier added to the Delaware Confederate Monument April 2015. ~ Bowman, Alonzo; rank unknown, 19th South Carolina Infantry, company unknown. Attended St. Mary's College in Wilmington, DE from 1857-1858. ~ Bradford, William Lumbery; Quarter Master, Co. "C", 6th Virginia Cavalry. Died in Virginia on June 27th, 1903, age 68, near Edinburg. Born near Wilmington, Delaware in 1835. UNIT UNDER RESEARCH. Age 25. Listed as a merchant. Listed with his relative, who was a hotel keeper. Born October 1834. Age 65. Married at age 32. Born in Delaware (both parents born in Delaware as well). Wife was named Amanda (age 61 and born in VA). 1st Lieutenant. Captured at Sailor's Creek on April 6, 1865. Released on August 9, 1865. ~ Bradley, Isaac; Private, 1st Maryland Cavalry, Co. "B". Other Info: Born in Sussex County, Delaware. Reference: June 16, 1860 Northwest Fork Hundred, Sussex County, Delaware, Post Office: Horsey's Crossroads, Roll #M653_99, Page 843, Image 624. ~ Brickhouse, James M.; 2nd Lieutenant, 6th Virginia Infantry, Co. "B". Was a 1st Lieutenant at the end of the war. Attended Delaware College (modern-day University of Delaware) before entering Confederate service. ~ Bright, William; Southern sympathizer. Born in Philadelphia on April 11, 1814, son of Captain William Bright. He left Pennsylvania to settle in Delaware and, in 1837, he married Sarah Rodman of Brandywine Hundred and bought a farm in the vicinity of Claymont, Delaware. Bought a grocery store in 1852 in Wilmington. Held without bail or trial at Fort Delaware in 1863 until taking the oath. It was heard that Bright said he was hoarding supplies to turn over to Lee's army after it captured Wilmington, Delaware. Civilian added to the Delaware Confederate Monument on May 30, 2011. ~ Buckmaster, James H.; UNDER RESEARCH. Enumerated on the 1850 Newark, Newcastle County, Delaware in Newark Academy, a preparatory school. ~ Buckmaster, Nathaniel; UNDER RESEARCH. Enumerated on the 1850 Newark, Newcastle County, Delaware in Newark Academy, a preparatory school. 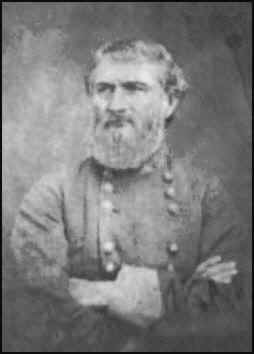 ~ Burke, John M.; UNDER RESEARCH, was in Confederate army, captured at Antietam/Sharpsburg and paroled. Born in England; resident of Wilmington, Delaware; occupation: shoe maker. Possible reg't: Private, 1 Maryland, Co. H.
~ Burnes, James; deserted from Confederate army and took oath. Other Info: Born in Ireland; resident of Milford, DE. Reference: 1860 Federal Census, Milford Hundred, Kent County, DE, Post Office: Frederica, family #30; Roll #M653_95, page 416, image 417. ~ Cahall, William E.; Private & Corporal, O'Ferrall's Batt'n, Virginia Cavalry, Co. C & 62nd Virginia Mounted Infantry, Co. M. Died in Bismark, North Dakota after the war. 1860 Census; Harrington, Mispillian Hundred, Kent County, Delaware. Enumerated June 9, 1860. Delaware Public Archives (Dover): Small Manuscript Collection. Volume R6. 9200. Baynard collection. Box 1. Folder 16. Soldier added to the Delaware Confederate Monument on May 9, 2009. 1850 Federal Census, St. George's, Red Lion Hundred, New Castle, DE; Roll #M432_54, page 257, image 179. ~ Clarkson, John W.; Lt. Col. serving as an aide under General Wise. Born in Delaware in 1827, was a school teacher, died in 1889, buried in Texas. The Handbook of Waco and McLennan County, Texas (Wavo: Texian, 1972) lists John W. Clarkson as a former Confederate major. ~ Claxton, Alexander; rank unknown, 1st Tennessee Infantry, company unknown. Attended St. Mary's College in Wilmington, DE from 1857-1858. ~ Cochran, J. Frank; Private, Co "D", 43rd Virginia Battalion, Mosby's Partisan Cavalry. Resided in Middletown, Appoquinimink Hundred, New Castle County, Delaware. Paroled April 23, 1863 at Relay House, Maryland. Unit history of the "43rd Battalion Cavalry - Mosby's Command"
1860 Federal Census, household #26. Enumerated the fourth day of June, 1860. Post Office: Middletown, Newcastle County, Delaware. ~ Collins, John; rank and regiment under research. Attended Delaware College (modern-day University of Delaware) before entering Confederate service. ~ Collins, Jonathan P.; Captain, Kenshaw Blues militia of Laurel, Delaware. Southern sympathizer. ~ Cooper, James, of Laurel, DE; regiment unknown; captured during the Battle of Gettysburg, was then sent to Fort Delaware POW Camp. Reference: "Delaware Civil War Centennial" dated 1964. ~ Cooper, William T.; Private, 1st Maryland Cavalry, Co. “B” and 2nd Maryland Cavalry Battalion, Co. “D”. He was a son of former Delaware governor, William B. Cooper and resided in Sussex County. Private William T. Cooper was captured at Romney, Virginia, and later sent to Fort Delaware, escaping and returning to Confederate service. ~ Copes, James S., M.D. of late New Orleans, Louisiana. Treated citizens and soldiers of the Confederate States during the yellow fever epidemic that occurred during the war. Also worked with the Confederate government to save the assets of New York Life Insurance Company. 1860 Federal Census, St. George's, New Castle, DE; Roll #M653_96, page 801, image 104. 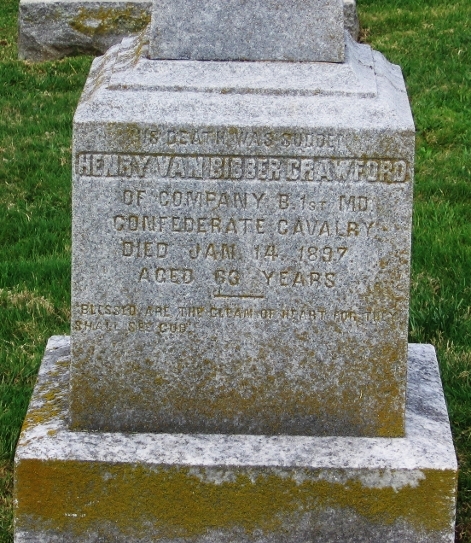 ~ Crawford, Henry Van Bibber; Private, 1st Maryland Cavalry, Co. "B" ("Captain George Emack's Co.") Born 1834 in Delaware; post-war resident of Cecil County, Maryland. Reference: 1850 Census, Newark, Delaware. Shows attending the Newark Academy, a preparatory school. 1870 Census, Millington, Kent County, Maryland. Dated June 8, 1870. 1880 Census, Safsafras, Cecil County, Maryland. Dated June 10, 1880. Line 17. Mentions his parents being born in Delaware. ~ Crawford, William A.; Private, 36th Virginia Cavalry, Co. "D". Attended Delaware College (modern-day University of Delaware) before entering Confederate service. ~ Cruthers, Robert; UNDER RESEARCH, deserted from Confederate army and took oath. Born in Ireland; resident of Red Lion District, New Castle County. ~ Custis, John T.; 39th Virginia Infantry. Died in Confederate service. Enumerated on the 1850 Newark, Newcastle County, Delaware in Newark Academy, a preparatory school. Soldier added to the Delaware Confederate Monument on April 2013. ~ Dale, James Wilkerson; 2nd Lieutenant, 5th Virginia Infantry. Born in Delaware; was a student at West Point when the war broke out; refused to take the oath and headed South; arrived at Harpers Ferry, Virginia in May of 1861. Dale reported to Thomas Jackson (later known as "Stonewall") and helped him drill the recruits. Stonewall Jackson said that Dale performed remarkably well and "he has military bearing, industrious habits, and a superior mind". After the war, James Dale's father, John, retired from civil engineering from the Port Penn, Wilmington area and removed to Bridgeville, Delaware. He became one of the first trustees of the First Presbyterian Church in Bridgeville. His farm (known today as Dale Farm), which is still standing today, is now part of the H.P. Cannon Estates in Bridgeville off of Route 404, north of the current Perdue Feed Mill. 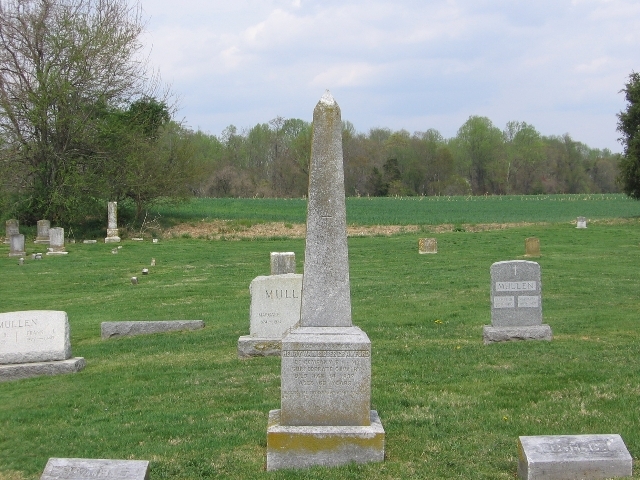 Some time after the war, James Dale was exhumed from the Stonewall Brigade Cemetery in Virginia and was brought back to Delaware by his father. He was reinterred somewhere in Delaware (exact place, currently unknown). written by Delaware Confederate, James W. Dale. Click here to read a letter from the 33 officers and staff of the Stonewall Brigade requesting James Dale's commission into the regular Confederate army. Click here to read a letter from Lt. Colonel and Inspector General Wm. J.H. 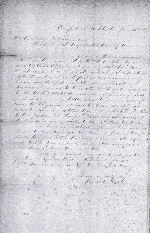 Baylor requesting a captain's commission for James Dale from the Confederate Secretary of War. Click here to read a letter from Lt. A.R. Botcher to the Confederate Secretary of War commending Lt. Dale. ~ Dauvergne, James; Private, 26th Georgia Infantry, Co. "B". Attended St. Mary's College in Wilmington, DE from 1857-1858. ~ Davis, Samuel Boyer; Confederate officer, Aide de Camp, Major General Isaac Trimble's staff. Possible officer second in command at Andersonville Prison and Confederate Secret Service. Wounded and captured at Gettysburg, PA in July 1863 and escaped from Chester, PA hospital. Other Info: Born in Delaware and a resident of New Castle County. Read author Thomas Ryan’s article about Samuel Boyer Davis, Originally published in the Delaware Coastal Point. Click here to read a selection from William Marvel's book Andersonville: The Last Depot about Samuel Boyer Davis. Click the images below to view the full-size pages from which the excerpts are derived. ~ Dean, Edward S.; Private, 3rd Virginia Cavalry (2nd Virginia Cavalry), Co. "G" & "E". Was a substitute for Richard S. Osborne from Nottaway County, VA and received land from the Osborne family. He is mentioned in a book titled General Lee's Army: From Victory to Collapse by Joseph T. Glatthaar. ~ Dean, Napoleon, B.; UNDER RESEARCH, regiment unknown. Other Info: Born in Dover, Delaware; occupation: grocer. Died March 1, 1880 and is buried in Dover, Delaware. ~ Dooley, John; UNDER RESEARCH, regiment unknown. Other Info: Born in Delaware; resident of New Castle County. ~ Dorsey, Evan L; Sgt, 1st Battery, Maryland Artillery - (Capt. McClanahan's Co..) Captured and charged with being a CSA spy. POW at Fort McHenry, Maryland. Reference: Newspaper article dated April 29th, 1864 (contributed by the GHS). ~ Dulaney, William H.; Surgeon, 13th Battalion, Va. Light Artillery. Resident of Seaford, Delaware. In 1862 Dulaney was "accused of aiding Hiram Ross Messick to join the Confederate Army in 1862". (Delaware in the Civil War). Surrendered by General R. E. Lee, CSA, Lynchburg, Va., April 11, 1864. * Information researched and contributed by Ms. E. Anne Happoldt of Dover's Colonel Hasslett Daughters of the American Revolution chapter. ~ Dunning, John W., Private, 43rd Virginia Battalion, Co. “D”, and a member of Colonel, John Singleton Mosby’s Rangers. 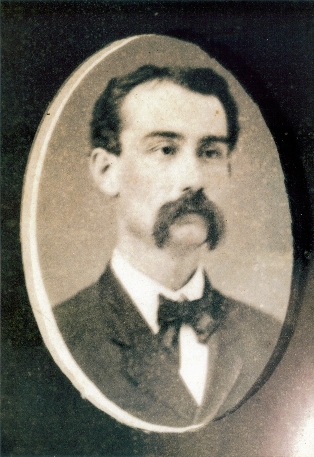 Private Dunning rode with Colonel Mosby, also known as the “Gray Ghost”, and while behind Federal lines, assisted in capturing Brigadier General, Edwin H. Stoughton in March of 1863. Resident of Dover, Delaware. Private Dunning was surrendered with his Company April 21st, 1865 - twelve days after the surrender of General Lee, on April 9th, 1865. A History of Kent County, Delaware by Harold B. Hancock dated 1975-76, pg 29. Biography of John W. Dunning from "Forgotten Heroes of Delaware" by Emerson Wilson (pg 141-142). Click here to read an excerpt from "Cooper's Civil War Memories" mentioning Dunning and his service (pg 63-64). ~ Dunnott (Jr), Henry H.; 27th Virginia Infantry, Co. "A". 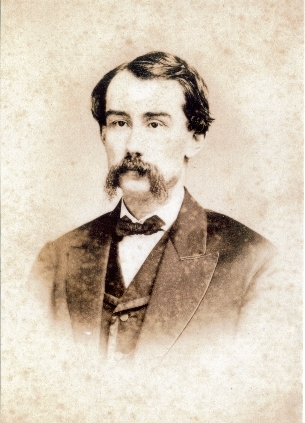 25-year-old Civil engineer in 1860. Born in Wilmington, Delaware in 1835. Enlisted into the Confederate service on April 22nd, 1861 at Covington, Virginia as a 3nd Lieutenant (later became a 2nd Lieutenant). Became a P.O.W. at First Manassas on July 21st, 1861 in Manassas, Virginia; was confined on July 23rd at Old Capitol Prison in Washington D.C.; escaped September 1st of that year and returned to Confederate service on September 23rd. Died of typhoid disease on December 29th, 1861 at Kernstown, Virginia. Buried in the Delaware section of Stonewall Cemetery in Winchester, Virginia. ~ Dusenberry, Henry; Private, Tennessee Cavalry, Captain Jackson's Company. Attended Delaware College (modern-day University of Delaware) before entering Confederate service. 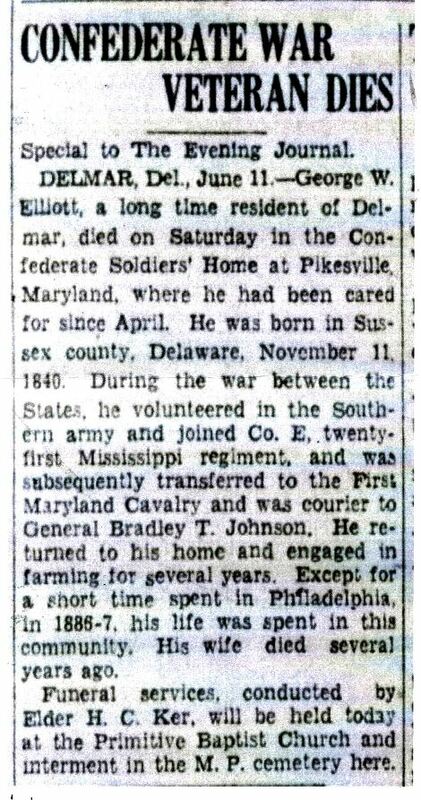 ~ Elliott, George W.; Private, 1st Regiment, Maryland Cavalry, Company "B"
*Soldier information contributed by Ms. Beth Manchester of the Hartford County Maryland UDC, . Reference: "Three Cheers for the Chesapeake! History of the 4th Maryland Light Artillery Battery in the Civil War" by: Rick Richter. ~ Fisher, Samuel; UNDER RESEARCH, regiment unknown. Other Info: Born in Delaware. ~ Firman, John D.; regiment unknown. Other Info: Born in Delaware; resident of Baltimore Hundred, Sussex County, Delaware; reputed to have been in Confederate army. ~ Frist, Robert Harris; Private, 4th Regiment, Tennessee Cavalry, Co. "B", McLemore's Division. Born March 24th, 1847 in Wilmington, New Castle County, Delaware. Died June 30th, 1903, in Newport, New Castle County, Delaware. Married December 25th, 1875 in Newcastle County, Delaware to Elizabeth Rachel Nebeker. "GOOD PEOPLE BEGET GOOD PEOPLE": A Geneaolgy of the Frist Family, William H. Frist, M.D. ~ Gallagher, Francis; Private, 1st Virginia Light Artillery (Pendenton's Regiment), Co. "B". ~ Gannon, John; rank unknown, possibly 2nd South Carolina Infantry, company unknown. Attended St. Mary's College in Wilmington, DE from 1857-1858. ~ Gannon, Michael; rank unknown, 1st South Carolina Militia (Charleston Reserves), company unknown. Attended St. Mary's College in Wilmington, DE from 1857-1858. ~ Garesché, Alexander John Peter; judge advocate and Captain of 1st Missouri Volunteer Militia. Born March 7, 1822 and died November 10, 1896 in Missouri. 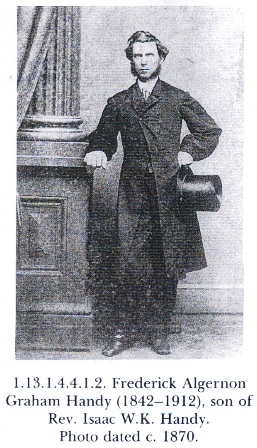 Son of Vital Marie Garasché and Mimiki Louise Bauduy, and brother of Father Fredrick and Ferdinand Garesché. Pre-war resident of Wilmington, Delaware; resided during the war in Cuba and St. Louis, Missouri; post-war residence was Missouri. Refused to take the oath after the war which lead to him being disbarred from his position for 5 years (pg 174). Possible later 2nd marriage to a Laura Van Zandt (History and Genealogy, pg. 192). ~ Garesché, Ferdinand Louis; Southern sympathizer; Orderly (messenger) for Brigadier General Daniel M. Frost of the 1st Military District, Missouri Volunteer Militia. Captured and paroled. Born December 7, 1827 and died May 16, 1903 in Missouri. 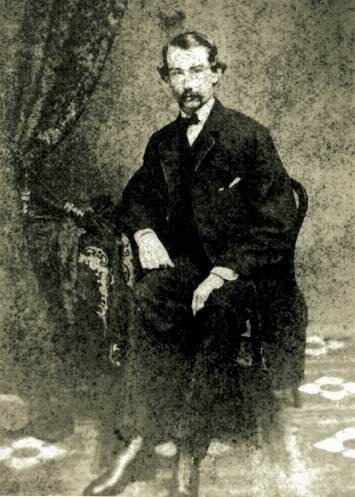 Son of Vital Marie Garasché and Mimiki Louise Bauduy and brother of Father Fredrick and Alexander J.P. Garesché. 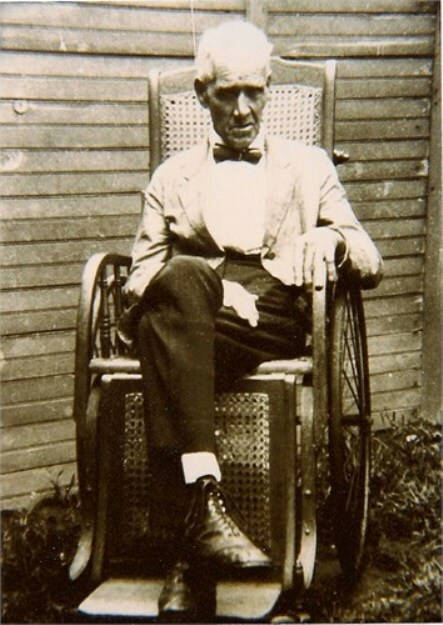 Pre-war resident of Wilmington, Delaware; resided during the war in Cuba and St. Louis, Missouri. ~ Garesché, Fredrick Paul; Southern sympathizer; Father of the Catholic church. Pre-war resident of Eden Park, Wilmington, Delaware. 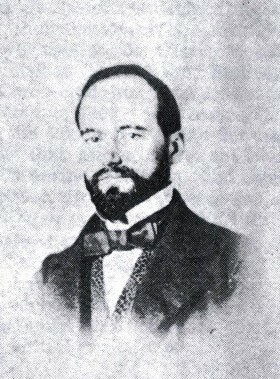 Son of Vital Marie Garasché and Mimiki Louise Bauduy; brother of Ferdinand and Alexander J.P. Garesché. ~ Garesché, Juliette McLane; Southern sympathizer and Confederate nurse at the Columbia, South Carolina powder mills. Daughter of Louis McLane and sister of Lydia Mulligan Sims McLane Johnston. Pre-war resident of Wilmington, Delaware; resided in Columbia, South Carolina during the war; post-war resident of St. Louis, Missouri. ~ Garesché, Peter Bauduy; superintendent of the Columbia, South Carolina powder mills for the Confederacy. Born November 10th, 1822 in Eden Park, Delaware; died in St. Louis, Missouri in 1868 (less than 2 years later, his mother also died in Missouri). Pre-war resident of Wilmington, Delaware; resided during the war in Columbia, South Carolina; and post-war resident of St. Louis, Missouri. Married Juliette McLane, a nurse at the powder mill he worked at. Son of John Peter Garashé and Cora Bauduy Chapelles (whose father was Peter Bauduy, who ran the Eden Park, Wilmington, Delaware powder mills). Father: John Peter Garesché went to Cuba during the Civil War and may have been setting up powder supplies to the Confederacy. In later years, J.P. Garesché became one of the Board of Directors of The Delaware Farmer's Bank during the period of the War of 1812. J.P.'s father, Bauduy Garesché married Josephine Dupont. ~ Garland, Leonidas; Sergeant, 1st Choctaw & Chickasaw Mounted Rifles, Co. "H". Attended Delaware College (modern-day University of Delaware) (1848) before entering Confederate service. ~ Gay, John L.; Reverend and Southern sympathizer; rector of St. Luke's Church in Seaford. He refused to pray for Lincoln and resigned his commission, going to Canada afterwards. ~ Gibbs, Thomas H.; Private, 41st Virginia Infantry, Co. "G". Attended Delaware College (modern-day University of Delaware) before entering Confederate service. ~ Gilbert, G. M.; Private, 1st Virginia Artillery, Co. "K & L". Attended Delaware College (modern-day University of Delaware) before entering Confederate service. ~ Giles, Thomas D.; 2nd Lt., 3rd Maryland Artillery, 4th Battery. 10-01-1862: was promoted to Quartermaster Sgt; 03-01-1863: promoted to 2nd Lieutenant. Other Info: Resident of Sussex County, Delaware. Soldier added to the Delaware Confederate Monument April 2017. ~ Gribben, James; Private, Tennessee Light Artillery, Memphis Light Battery, Captain Tobin's Company. ~ Griffiths, Charles H.; Private, 42nd Georgia Infantry, Co. "H". Born in Delaware about 1838. Resided in St. George's Hundred, Newcastle County, Delaware as listed on the 1850 Census. Later, he resided in Monroe, Walton County, Georgia before the war. Soldier added to the Delaware Confederate Monument April 2016. ~ Hall, Samuel Warren; Private, 42nd Mississippi Infantry, Co. C. Born October 22, 1843; died on May 11, 1915. 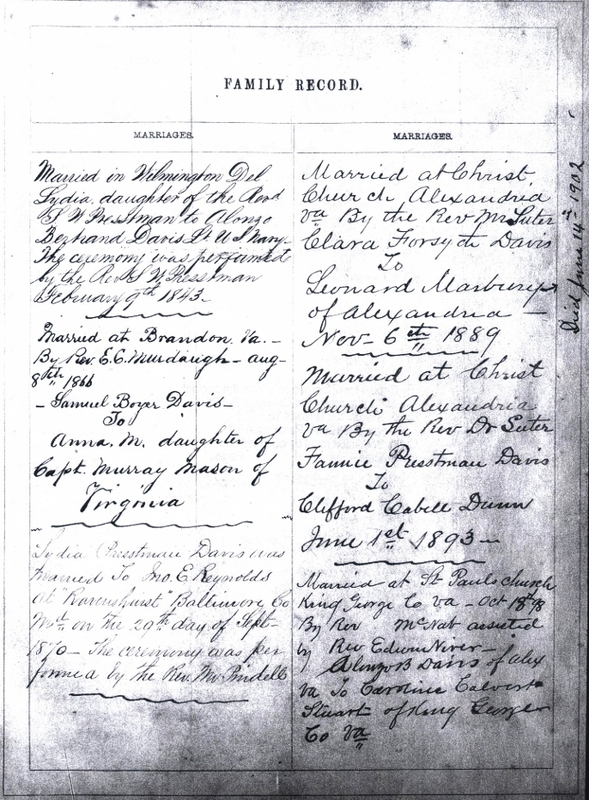 Married to Annie E. Sullivan on March 16, 1871 in Jackson, Mississippi; later moved back to Delaware. Samuel's father, a democrat, became governor of Delaware after the war. *Soldier and information researched and contributed by Ms. E. Anne Happoldt of Dover's Colonel Hasslett Daughters of the American Revolution chapter Soldier added to the Delaware Confederate Monument on May 9, 2009. ~ Handy, Frederick Algernon Graham; 1842-1912. Sergeant, Confederate Signal Corps, Naval Brigade, Army of the Tennessee. Was a pre-war resident of Newcastle County, Delaware. Raised and trained a regiment at Marysville, VA at the beginning of the war but wasn't allowed to join the army. Instead, he joined the Confederate Navy in 1862, serving as a signal officer with the James River fleet. He was a Lt. but later became a Major in the army. ~ Handy, Moses Purnell; 1847-1898. After federal troops wouldn't release his father from Fort Delaware, he enlisted at 17 as Lt. and aide to General Stevens of the Confederate Engineering Corps. During the war, was a resident of Port Penn, Newcastle County, DE. ~ Hardesty, John; Private, 4th Battery, Maryland Artillery, Co. G.
Reference: 1860 Census, Vernon Post Office, Mispillian Hundred, Kent County, Delaware. Enumerated June 15, 1860. Further ongoing research: A "Private John W. Hardesty" of the 1st MD Infantry Battalion Company "A" was killed during the Battle of Gettysburg (Family Relationships unknown). Reference: Goldsborough's "The Maryland Line in the Confederate Army". ~ Hargrave, W. C.; UNDER RESEARCH, resident of Virginia. Enumerated on the 1850 Newark, Newcastle County, Delaware in Newark Academy, a preparatory school. ~ Harmanson, James R.; 2nd Lieutenant, Company F, 4th Virginia Battalion, 2nd Regiment (Wise Brigade). Other Info: Student at Delaware College; mustered in as a private Feb. 2, 1862, promoted to 2nd Lieutenant; Killed in action in the Battle of Seven Pines, May 31, 1862. Soldier added to the Delaware Confederate Monument April 2018. ~ Hearn, Benjamin G.; Private, 1st Maryland Cavalry, Co. "B". Born in Somerset County, Maryland; resident of Sussex County, Delaware. 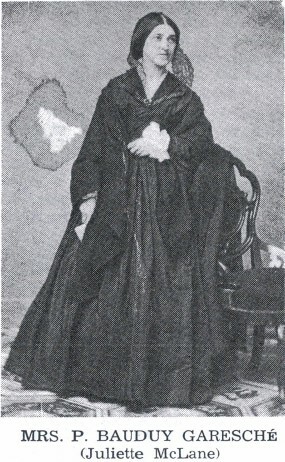 Married Mary E. Allen on December 12, 1857. 1860 Census, Northwest Fork Hundred, Sussex County, Delaware. Enumerated June 13, 1860. ~ Hearn, Samuel Batson, Private; resident of Delmar, DE. ; served in the 1st Battalion Maryland Cavalry, Co. "B". Born 28th of January, 1841 in Delmar, MD. Died 9th October, 1917 in Port Royal, VA. Son of Kendal Batson Hearn (b. 1808/1809 in DE) and Elizabeth (b. c. 1814/1815 in DE). 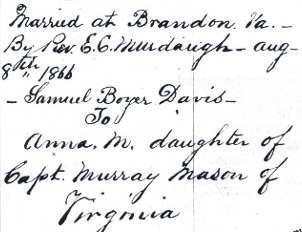 He married Mary Virginia Gibbs on 21st December, 1869 in Port Royal, VA. "Delaware Grays" SCV Camp # 2068 has been granted permission by Samuel's great-grandson, (related through Samuel's daughter, Mary Elizabeth Hearn), William R. Bruce, ATTY. (of late Smithville, TN and current resident of Georgia) to post Samuel's war memoirs titled: "Memoirs of Our Father" "Battalion of Maryland Cavalry", which can be read by clicking the selected link titled "Memoirs of Our Father". Also, a brief of Samuel and his Compatriots was printed in the Confederate Veteran Magazine (Vol. XIX, Page 382, "Why President Lincoln Spared Three Lives" By Isaac Markers), of which a copy of the article can read by clicking the following link: "Mention of Samuel B. Hearn; C.V. magazine". ~ Hearn, William H., Private; resident of Laurel, Sussex County, DE. ; served in 2nd Maryland Infantry, Co. "F". 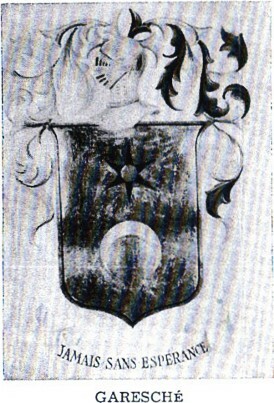 He was the son of Jonathan A. Hearn, and Margaret (first wife) of Laurel, Delaware. ~ Hessey, David Stewart; 2nd Lieutenant; 13th Virginia Infantry, Co. "G". Later commissioned to the 1st Confederate Engineers Corps, CO. "I". Pre-war resident of Seaford, Delaware. General, Robert E. Lee Awarded Lt. Hessey the Binoculars he holds in the photo below, after Lt. Hessey’s quick construction of a pontoon bridge. Buried in East Newmarket, Maryland alongside his wife. 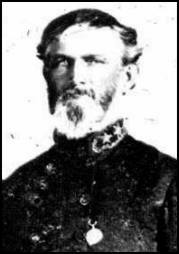 ~ Hobbs, Russell B., Quartermaster of the CSS Alabama, was under the Command of Admiral Raphael Semmes. Russell Hobbs resided in Sussex County, near Georgetown, Delaware. Along with Russell B. Hobbs, there were several other Delawareans that also served in the Confederate Navy. Click here to read a biography of Russell B. Hobbs from a book titled "Forgotten Heroes of Delaware" by Emerson Wilson (pg 145-146). his 3rd & 4th great-grandsons, William Kirk Lawson and Robby Lawson. Click here to read an article referencing Thomas J. and his father, Nathaniel Horsey. ~ Horsey, William B.; from Seaford, Delaware. Confined and paroled from military prison in Baltimore, Maryland. Charged with aiding Confederate blockade runners. Reference: Newspaper article dated April 29th, 1864. ~ Jacobs, Edward Richards; 9th Virginia Cavalry, Co. "H". Enlisted in Ashland, Virginia on June 3rd, 1861. Discharged October 9th, 1861 due to chronic kidney problems. Other Info: Resident of Bridgeville, Delaware. Click here to read an article referencing Edward and his father, Thomas Jacobs. 1860 Federal Census, Northwest Fork Hundred, Sussex County, DE, dated June 20, 1860, Post Office: Horsey's Crossroads, family #596; Roll #M653_99, page 857, image 638. 1850 Federal Census, 11th Sub-division, Sussex County, DE, dated July 29, 1850; Roll M432_55, page 211, image 421. ~ Jacobs, George Henry. (A galvanized Confederate from Delaware.) Enlisted as a private in the Federal Army on March 1st, 1862 in Smyrna, Delaware into the 3rd Regiment Delaware Infantry, Co. "C". Served in the Army of the Potomac and, on August 21st, 1864, he was captured by Confederates near Weldon Railroad in Virginia and sent to Salisbury, North Carolina prison camp where, on November 27th, 1864, he galvanized into the 32nd North Carolina Infantry, 2nd Co. "B" as a musician. ~ Jefferson, Elihu; Southern sympathizer. Aided prisoners at Fort Delaware. Lived in Newcastle, DE in 1860 and was listed as age 58. 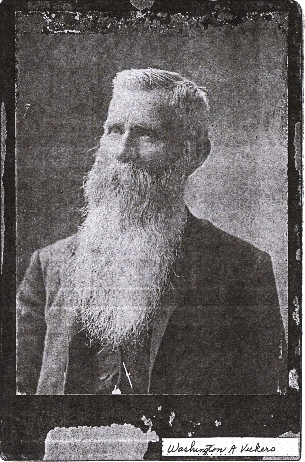 Father of Julia Jefferson. 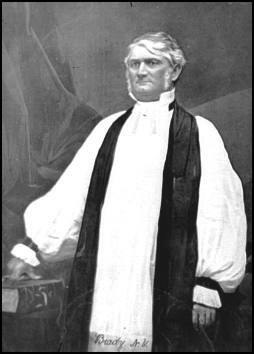 ~ Johns, John S.; Confederate chaplain and Episcopal bishop; 4th Bishop of Virginia who swore in Confederate President Jefferson Davis (on February 22, 1862) and General Robert E. Lee into the Episcopal church. Born July 10th, 1796 in New Castle County, Delaware and died April 5th, 1876 in Fairfax County, Virginia (reference: Kensey Johns Family Bible). He had two sons who were officers in the Confederate army. His mother, Ann Van Dyke Johns, was the daughter of former Delaware governor, Nicholas Van Dyke. He entered as a student to the Newark College at September 1st, 1848 and was honorably dismissed from the college in July 19th, 1849. Click here to read a biography of John Johns from a book titled Forgotten Heroes of Delaware by Emerson Wilson (pg 146-147). Click here to view an excerpt from the Delaware Genealogical Society Journal, Volume 12, Number 2, October 2003 (pg 35). ~ Johnston, Lydia Mulligan Sims McLane; born on January 31, 1822 in Wilmington, Delaware. Daughter of Delaware U.S. Senator, Louis McLane and sister of Juliette McLane Garesché. Married Joseph E. Johnston on July 10, 1845 in St. Paul's Episcopal Church in Baltimore, Maryland. ~ Joynes, Edward S.; rank unknown, 3rd Virginia Infantry, Local Defense (Henley's & McAnerney's). Attended Delaware College (modern-day University of Delaware) (1848) before entering Confederate service. ~ Kennedy, Stiles E.; Surgeon, 8th Regiment, North Carolina Infantry. 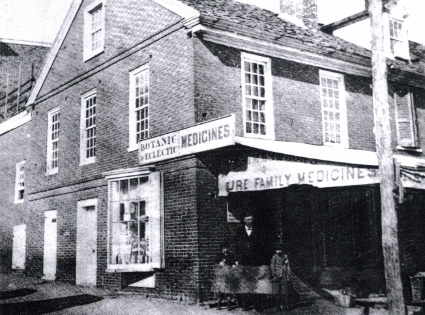 Kennedy grew up in Milford, Delaware and became a physician after graduating from the University of Pennsylvania in 1859. He mustered in with the 8th North Carolina in April 1863 and was appointed surgeon. ~ Kinson, John; rank unknown, Virginia Heavy Artillery, Read's Company. Attended Delaware College (modern-day University of Delaware) before entering Confederate service. ~ Lambson, John Reed; 2nd Maryland Infantry, Co. "B". Resident of New Castle, Delaware; lost a foot during the Battle of Gettysburg. ~ Lee, Baker P., Jr; 1st Lieutenant, 32nd Virginia Infantry, Co. "F&S". Was promoted to a Major. Attended Delaware College (modern-day University of Delaware) before entering Confederate service. ~ Littlepage, Junius A.; Private, 87th Virginia Militia, Co. "D". Attended Delaware College (modern-day University of Delaware) (1848) before entering Confederate service. ~ Lloyd, Franklin; UNDER RESEARCH, 1st Virginia Artillery, Co. "B". Other Info: Resident of Brandywine. Also found in 1850 and 1860 North Carolina census, and a private of a 33rd North Carolina infantry reg't. Click here to read a historical article referencing David A. Martin, his father (Hugh Martin Sr.), and his brothers. ~ Martin, Edward L.; Southern sympathizer. He was the captain of the 2nd Cavalry Seaford Militia and, in 1860, arranged for many of his Militia (along with others in Sussex County) to go to Virginia and enlist in the Confederacy. Profession: Lawyer; age 22. (Reference: 1860 Federal Census, Northwest Fork Hundred, Sussex County, DE, Post Office: Seaford, June 7, 1860 ; Roll #M653_99, page 817, image 598.) Commanded a Southern militia of Seaford Cavalry. He was tried and found guilty of aiding and abetting the enemy. Born in Seaford on March 29, 1837 and died in Georgetown on December 13, 1886. Click here to read a historical article mentioning Edward L. Martin, his father, and his brothers. Click here to read a biography about Edward L. Martin from a book titled Forgotten Heroes of Delaware by Emerson Wilson. Click here to read a historical article referencing Hugh Martin Jr., his father, and his brothers. Genl. James G. Martin C.S.A. Soldier added to the Delaware Confederate Monument on May 12, 2008. ~ Marvel, John H.; Private, 35th Arkansas Infantry, Co. F.
Age: 18. Born about 1842 in Delaware. Additional soldier information added to the Delaware Confederate Monument on May 9, 2009. ~ May, Bushrod L..; Surgeon - Officer, 1st Company, First Rockbridge Artillery, Army of Northern Virginia. Served as Representative in 70th Delaware General Assembly, 1858-1860. *Soldier and information researched and contributed by William A. McKay, Newark, Delaware. Soldier information added to the Delaware Confederate Monument, April, 2012. ~ McCabe, James; rank, regiment & company under research; possibly Louisiana Infantry. Taught at St. Mary's College circa 1841. ~ McDevitt, Cornelius P.; rank unknown, 1st Field Battery, Louisiana Artillery. Attended St. Mary's College in Wilmington, DE from 1857-1858. ~ McKown, William; M.D. of Smyrna, Kent County, Delaware, was confined in Fort Delaware for having forwarded more than 25 men from New Castle County, Delaware. "Delaware Civil War Centennial", 1964. ~ McMurran, Joseph; Sergeant, 4th/13th Virginia Infantry, company unknown. Attended Delaware College (modern-day University of Delaware) (1847) before entering Confederate service. ~ McNeill, George Hector; Private, 38th North Carolina Infantry, Co. "K". Was a corporal at the end of the war. Attended Delaware College (modern-day University of Delaware) before entering Confederate service. ~ McNeill, James H..; Captain, 5th North Carolina Cavalry, Co. "A". Was a major at the end of the war. Attended Delaware College (modern-day University of Delaware) before entering Confederate service. ~ McRae, Alexander; Private, 26th North Carolina Infantry, Co. "H". Attended Delaware College (modern-day University of Delaware) before entering Confederate service. ~ McWhorter, Charles Henry; Captain, "Haslet Guards" militia (of Dover, Delaware). Born in St. George's, Delaware on December 25th, 1838. Attended Newark Academy in the 1850's. He was a merchant during the Civil War and may have shipped goods to the south. He was a Southern sympathizer and owned a horse named "Jeff Davis". In March of 1862, he refused to surrender his arms to Maryland federal troops that were occupying the state house in Dover and was arrested. A History of Kent County, Delaware by Harold B. Hancock, 1975-76, pgs 29 & 30. ~ McWhorter, John; Private, 3rd MD Lt. Artillery. Born in Delaware in 1836. Lived in Queen Anne's County, Maryland. >>> Lists John McWhorter, age 34, as a [grainery] keeper and notes that he was born in Delaware. * Information researched and contributed by Ms. E. Anne Happoldt of Dover's Colonel Hasslett Daughters of the American Revolution chapter Soldier added to the Delaware Confederate Monument on May 30, 2011. ~ Meredith, Whitely W.; Captain of Delaware Southern militia known as "Willow Grove". Listed on census as a farmer; age 27. 1860 Federal Census, Murderkill Hundred, Kent Country, Delaware (Post Office: Willow Grove); Roll: #M653_95; Page: 307; Image: 308. ~ Messick, Hiram Rose; 1st Maryland Cavalry Co. "G". A resident of Seaford, Delaware and was captured at the Battle of Gettysburg. Hiram Messick, in a Court trial, mentions that in October 1862 he and ten others left Seaford, via a small boat thru the Nanticoke River, and sailed South to serve the Confederacy. The others with him were named: Collison, Marvil, Peirce, Reed, O’Day, Smith, Lloyd, and three others from Bridgeville not named. Delaware Civil War Centennial dated 1964. Additional soldier and unit data UNDER RESEARCH. ~ Morrill, Joshua; rank & regiment unknown. From Seaford, DE. ~ Musgrove, Thomas H., DDS; Private, 1st Battery Maryland Artillery. Born Sept. 7, 1832, New Castle, Delaware; Died April 1, 1895. Believed to be buried at Head of Christiana Presbyterian Church, Newark Delaware. Soldier added to the Delaware Confederate Monument April, 2014. ~ Mustard, David L.; UNDER RESEARCH. Enumerated on the 1850 Newark, Newcastle County, Delaware in Newark Academy, a preparatory school. ~ Newton, Gordon. Private, 21st Arkansas Infantry, Co. "D". Attended Delaware College (modern-day University of Delaware) before entering Confederate service. ~ O'Keefe, Thomas J.; enlisted as 3rd Lieutenant, Tennessee Infantry, 29th Reg't, Co. E, later promoted to Captain and discharged as Quartermaster Sgt., Hardee's Division (which he served 14 months in). Pre-war resident of Brandywine, Rising Sun village. Connection with the Dupont Powder Mills in Brandywine, as the Rising Sun village was set up for their employees. During the Battle of Antietam/Sharpsburg, on September 17, 1862, O'Keefe and Ryan were caught across the Brandywine from Rising Sun village as suspected saboteurs. The suspected Confederate secret service was to blow up the powder mills. "O'Keefe admitted that he had served 14 months as a Confederate captain as commissionary of subsistence in Hardee's Division". They were ordered discharge from Fort Delaware on December 13, 1862. ~ Ott, J.; rank unknown, 16th Louisiana Infantry, company unknown. Attended St. Mary's College in Wilmington, DE from 1857-1858. ~ Page, John; Major, Army of Northern Virginia. Graduated from Delaware College (modern-day University of Delaware) in 1839. The University of Delaware: A History by John A. Munroe, page 71 & 242. Dictionary of American Biography, Vol. XIV by the American Council of Learned Societies, page 141. ~ Parker, Caleb R.; UNDER RESEARCH. Enumerated on the 1850 Newark, Newcastle County, Delaware in Newark Academy, a preparatory school. Possible service in the 5th North Carolina Infantry. ~ Parramore, Thomas C.; 2nd Lieutenant, 39th Virginia Infantry, Co. "F". Attended Delaware College (modern-day University of Delaware) before entering Confederate service. ~ Parramore, William R.; 1st Lieutenant, 39th Virginia Infantry, Co. "F". Attended Delaware College (modern-day University of Delaware) before entering Confederate service. 1860 Federal Census Georgetown, Sussex County, Delaware, Roll #M653_99, Page: 617, Image: 398. ~ Pendelton, William Nelson. Brigadier General and Chief of Artillery for the Army of Northern Virginia. Taught at Newark College from 1837 to 1839. Ordained an Episcopal Priest in Delaware. Pre-war resident of Newcastle County, Delaware. ~ Penington, John B. of the Haslet Guard, a state militia group; Southern sympathizer. Arrested and taken prisoner March of 1862 in Dover for having secessionist feelings, and later sent to Fort Delaware. ~ Phillips, John W.; UNDER RESEARCH, Southern sympathizer. Post-war Seaford postmaster in 1868. ~ Polk, John. W.; UNDER RESEARCH. Southern sympathizer. Resident of Milford, Delaware. Noted by the Bell manuscripts. Possible service in the 2nd Battalion, Virginia infantry. ~ Polk, Leonidas, Lieutenant General, Army of the TRANS-Mississippi, Lorings division; KIA June 14, 1864 on Pine Mountain, Georgia with Bibles on hand upon his death by Union artillery shell. 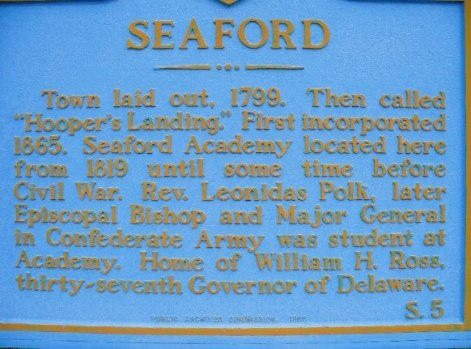 Leonidas Polk was a teacher at the Seaford Military Academy near Odd Fellow Cemetery on Market Street, Seaford, Delaware. 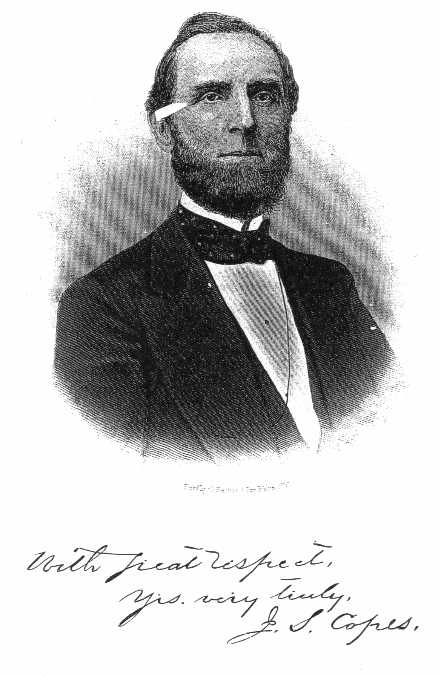 Mr. Polk resigned his teaching position just prior to the war and accepted a Lieutenant General's position in the Georgian Confederate Army. Click here to view Leonidas Polk's request for a passport, dated August 6, 1831. Click here to view information about Leonidas and his career throughout his life, contributed by Ms. E. Anne Happoldt.. This state marker is located at the intersection of US-13 and Middleford Rd. in Seaford, DE. ~ Polk, Trusten; Confederate Colonel and politician. Other Info: Born May 29th, 1811; died April 16th, 1876 in St. Louis, Missouri; was Missouri governor in 1856, then served as Senator for the same state; presiding judge for the Trans-Mississippi. "His was a distinguished family: His father's cousin, Charles Polk, having been governor of Delaware, as was his uncle on his mother's side, Peter Causey. American President James K. Polk and Major General Leonidas Polk (see segment above) of the Confederate Army, an Episcopal bishop, also were distant relatives." Click here to read a biography from a book by Emerson Wilson about Trusten Polk. ~ Polk, Trusten; Captain, 12th Virginia Cavalry, Co. "K", and 1st Maryland Cavalry Co. "A". Born in Sussex County, DE in 1840. Released from Camp Chase, Ohio POW Camp, March 1865, and paroled in May 1865. Click here to view a segment of Captain Polk's obituary. ~ Porter, Charles Eugene; enlisted in the Confederate States navy on May 24th, 1861; discharged April 1862; transferred to the 1st Maryland Cavalry in May 1862; transferred to the Fluvanna Virginia Artillery in September 1862, then transferred back to the Confederate States navy August 1863. Other Info: Born August 10, 1842 in Dover, Delaware; died March 3rd, 1908. 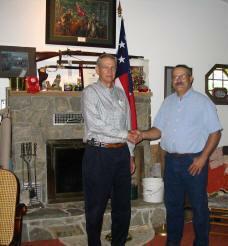 Read about Charles Porter's CSA service during the Civil War. Mrs. Beth Manchester forwarded this reference for the photo she submitted: "The picture I sent of Charles Porter is of a placard in the museum in Kinston, NC where the CSS Neuse is housed. It is on a wall where they tell about the crew and what life was like on the ironclad." ~ Pratt, John S.; Southern sympathizer and clerk of the Senate. Arrested and taken prisoner March of 1862 in Dover for having secessionist feelings, and later sent to Fort Delaware. Enumerated on the 1850 Newark, Newcastle County, Delaware in Newark Academy, a preparatory school. ~ Presson, William; rank and regiment under research. Attended Delaware College (modern-day University of Delaware) before entering Confederate service. ~ Price, Franklin A.; Confederate hospital steward. Other Info: Resident of Delaware City, Delaware. Medical assistant in General Johnson's corp. He was captured and sent to Fort Delaware. ~ Price, Theodore, of Seaford, Delaware, accepted employment with the Confederate Government in June 1863, enlisting into the Confederate Army. Imprisoned in Baltimore, Maryland, without trial, then later was returned to the Confederacy. Theo M. Price served within the Texas 12th Infantry, CO. "C", NCS, 1st Lt.
Delaware Civil War Centennial, 1964. ~ Reed, James H.; UNDER RESEARCH. Enumerated on the 1850 Newark, Newcastle County, Delaware in Newark Academy, a preparatory school. ~ Robinson, George Julian, A.K.A. 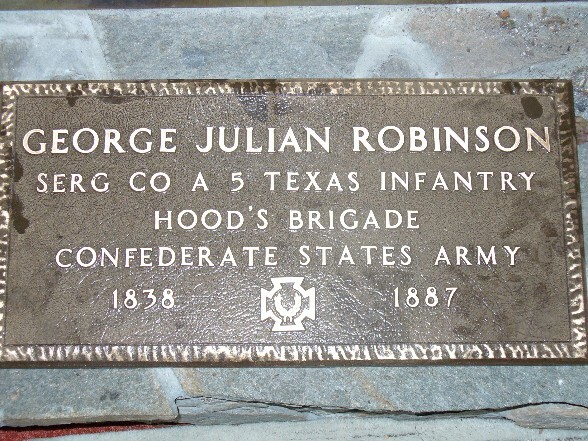 Julius, Sergeant, 5th Texas Infantry Regiment, CO. "A", “Hoods Brigade”. A Resident of Georgetown, Delaware. Sergeant Robinson was severely wounded during the Battle of the Wilderness Campaign. Two of his Cousins from Georgetown, Delaware also served the Confederacy. Click here to read the newspaper article on George Julian Robinson. All of the above photos donated by grandnephew Thomas P. Robinson, Sr.
~ Robinson, George W.; UNDER RESEARCH, 1st Maryland Artillery. Resident of New Castle, Delaware. Possible sailor of the Robinson silversmithing family in Sussex County, Delaware. ~ Rogers, John Thomas. 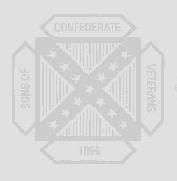 ; UNDER RESEARCH, 27th Virginia Infantry. ~ Ross, Caleb; Private, 9th Virginia Cavalry, Company “H”. Enlisted in Ashland, Virginia on June 28th, 1861 in Johnson’s Regiment, Captain William H. "Fitzhugh Lee", Nephew of Confederate General, Robert E. Lee, commanded Caleb’s Regiment know as the “Virginia Rangers”. 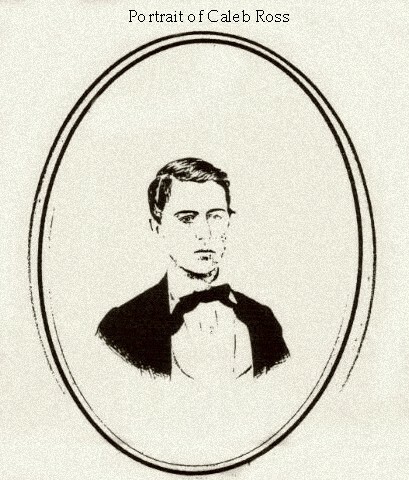 Caleb is the Son of Former Delaware Governor, William H. Ross, who served from 1851-1855. Caleb was born August 31, 1841, and a resident of Seaford, Delaware. Caleb died of Typhoid Fever on September 17th, 1861, while in Confederate Service, and was brought home and is buried in Seaford, Delaware. Click here to read a historical article referencing Caleb and his father, William H. Ross. ~ Ross, W. C.; rank and regiment under research. Attended Delaware College (modern-day University of Delaware) before entering Confederate service. ~ Ross, William H.; ex-Delaware governor and Confederate sympathizer. Father of Caleb Ross (above); defender of Southern rights and his believe that Delaware should take her stand with the states of the South. Sent other young Delawareans South to join the Confederate army. Born in Laurel, Delaware on June 2, 1814 and died in 1887, buried in Seaford (DE) in St. Luke's Episcopal Church. Click here to read a biography from a book by Emerson Wilson about William H. Ross. ~ Roth, Edward. Born in Ireland. Resided in Wilmington, Newcastle County, DE in 1850 and attended St. Mary's College in Wilmington, DE. ~ Rust, Catesby Fleet (1819-1894T), a farmer of Seaford, Delaware, accepted employment with the Confederate Government in June 1863. Served in Senate from 1878-1880 as a Democrat. Born November 22nd, 1819 in Bridgeville, Delaware at "Woodburn" estate. Profession: lawyer. This revolver was given to Castesby F. Rust by his brother Charles P. Rust on July 2nd, 1864. Charles P. Rust captured the revolver from a Northern Delaware soldier about 18 years of age. 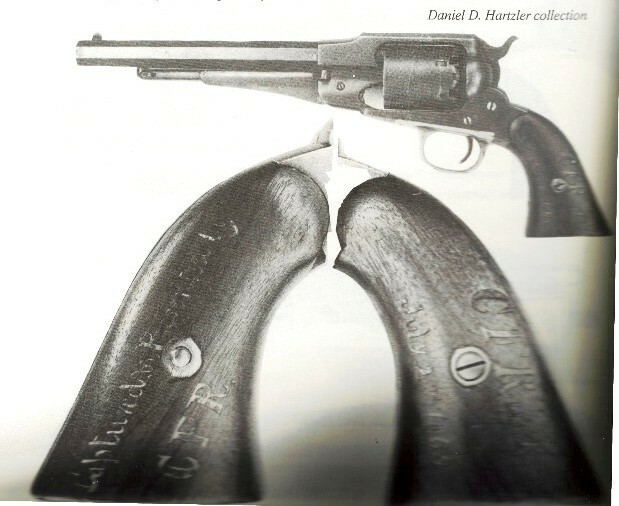 Photo and wording referenced from page 228 of Confederate Presentation and Inscribed; Swords and Revolvers, by Daniel D. Hartzler, of Libertytown, Maryland. Click here to read a historical article on Castesby Rust. Soldier added to the Delaware Confederate Monument on May 12, 2007..
~ Rust, Charles Palmer, 9th Virginia Cavalry, Co. "C" and transferred to Co. "H", May 1862. Charles Rust became a courier for General Thomas J. "Stonewall" Jackson, and on July 1864 was discharged from Confederate Service for being a "non-resident" of the Confederate States. Born September 9th, 1841 in Laurel, Delaware and married Sally Ross (daughter of Governor William H. Ross and sister to Seaford's famed Caleb Ross, also of the 9th Virginia Cavalry, Co. "H".). ~ Satterfield, Daniel, of Milford, captured during the Battle of Gettysburg, was then sent to Fort Delaware POW Camp. ~ Saulsbury, Dean, of Dover fought at Gettysburg. Regiment unknown. ~ Saulsbury, Ezekiel, captured during the Battle of Gettysburg, was then taken to Fort Delaware POW Camp. Ezekiel Saulsbury served within the Virginia 23rd Cavalry, Co. "D", Sergeant, and Virginia 62nd Mounted Infantry 2nd Co. "M", rank Sergeant. ~ Saulsbury, William C., Sergeant, 4th Kentucky Infantry, Company "F". Within the Saulsbury home place burying ground in Delaware stands a monument with William's name inscribed that states: "William C., b. 1835, Son of Margaret Ann and James Saulsbury, entered the Confederate Army and was never heard from again." Muster Records show William enlisted at Camp Boone, Tennessee on 8/1/1861, and died on 11/21/1861 in Nashville Tennessee. William is related to Delaware's Governor, "Grove Saulsbury", who served from 1865-1871. ~ Scott, James B.; Private, 23rd Virginia Infantry, Co. "F". Attended Delaware College (modern-day University of Delaware) before entering Confederate service. ~ Scott, Robert; rank, regiment & company under research; possibly Georgia Infantry. Attended St. Mary's College in Wilmington, DE from 1857-1858? 1850 Federal Census, Wilmington, New Castle County, Delaware; Roll M432_53, Page 148B, Image 564. 1860 Federal Census, Wilmington Ward 4, New Castle County, Delaware; Roll M653_98, Page 19, Image 333. Last known muster roll of John Simms (Jr). ~ Shipley, Joseph, M.D. of Seaford, Delaware, accepted employment with the Confederate Government in June of 1863 and was accused of being a strong Southern sympathizer and of having smuggled medical supplies and other goods by boat, from Seaford, across the Chesapeake Bay into the South. He was captured and given no trial and was imprisoned in Baltimore, Maryland. Afterwards, he was ordered back into the Confederacy. Captain, Joseph C. Shipley, served as a general surgeon for General in Staff, Capt. of ACS. ~ Smith, Gilley; of Marshy Hope Bridge. Captured during the Battle of Gettysburg; sent to Fort Delaware P.O.W. Camp. ~ Spady, Southey G.; Corporal, Co. A, 27th Regiment, South Carolina Infantry (Gaillard's Bn.) . Attended Newark College (modern-day University of Delaware) before entering Confederate service. * Soldier and information researched and contributed by Ms. E. Anne Happoldt of Dover's Colonel Hasslett Daughters of the American Revolution chapter Soldier added to the Delaware Confederate Monument April 2016. 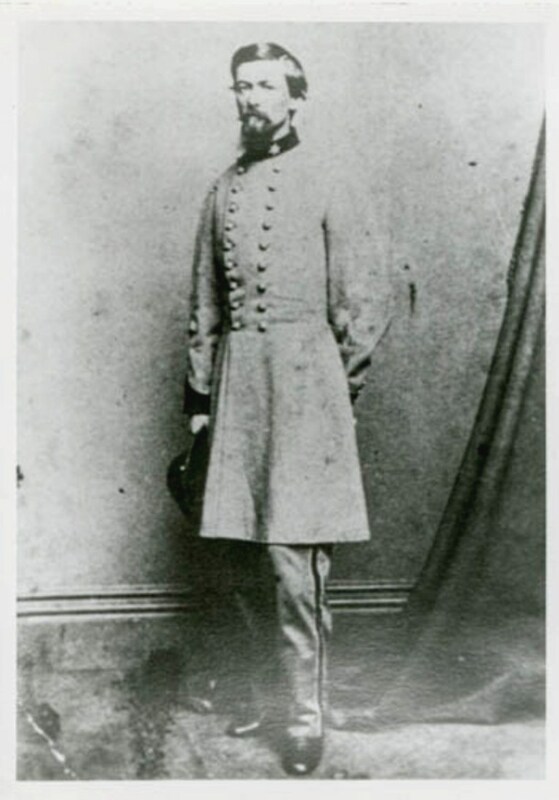 ~ Spence, James; Private, enlisted July 22nd, 1861 in Captain A. R. Courtney's company, Virginia Light Artillery (Henrico Art'y, General Early's Division). In the Virginia Light Artillery, he served in Jos. W. Latimer's company while stationed at Port Royal, Virginia; later served in Captain William A. Tanner's company (also part of the Virginia Light Artillery), "Jones' Batt'n" and "Cutshaw's Batt'n". Had earlier service in the 7th Brigade, Ewell's Division. On August 9th, 1862, he was wounded at Slaughter Mountain, Virginia. By special order #120-20 of the Adjutant Inspector's General's office of the Confederate States, Private James Spence was detailed to special duty on detached service from his unit from May 26th, 1863 to the end of the war in the 4th Infantry Batt'n, Co. F (this unit was part of the Confederate Naval Batt'n for Richmond's defenses) by order of the Secretary of War to work in the machine shop of the Tredegar Iron Works in Richmond, Virginia where they made artillery cannons. At the end of the war when Richmond fell, family records state that James Spence drove Jeff Davis' train from Richmond as they were fleeing from the Federal soldiers. Died at age 82 on April 2nd, 1921 in the Robert E. Lee old soldiers' home in Richmond, Virginia. ~ Spence, James H.; Private, 9th Virginia Cavalry, Co. "D". Enlisted on October 14th, 1861 at Landcaster County, Virginia. When he enlisted, he was a 34-year-old clerk. Honorably discharged for disability on July 17th, 1862 at Camp Stuart by William Fitzhugh Lee. He was born in Newcastle, Delaware. ~ Stuart, Wilson M.; UNDER RESEARCH, clerk in the U.S. Treasury Department during the war; visitor to Dover at 2nd Manassas, September 30, 1862 behind Confederate lines. Mother and sister lived in Dover. ~ Vallandingham, James, Rev., Pastor of White Clay Creek Presbyterian Church, Newark, Delaware, had two sons that joined the Confederate Army. Reverend James Vallandingham's pro-southern sermons were said to have been approved by nine-tenths of his congregation. ~ Vallandingham, James Laird, Pvt., Co. "B", 1st Maryland Cavalry and also served within the Maryland Artillery 4th Battery. Born 1845; resident of Newark, Delaware. ~ Vallandigham, Irving Spence; Co. "B", 1st Maryland Cavalry. Other Info: Born August 26th, 1840. Soldiers added to the Delaware Confederate Monument on May 12, 2007. ~ Vickers, Washington A., Private, 2nd Maryland Infantry, Co. "G" & Co. "A". 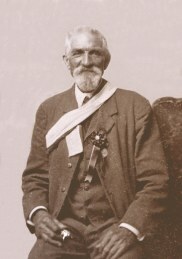 Pre-war resident of Seaford, Delaware; born in Seaford in 1842. Post-war returned to Delaware and was a life guard for the US Lifesaving Service along the Delmarva shores, of which service encompassed Accomak County, Virginia in 1880 at age 37, and eventually coming to a lifesaving station at Bethany Beach, Delaware. 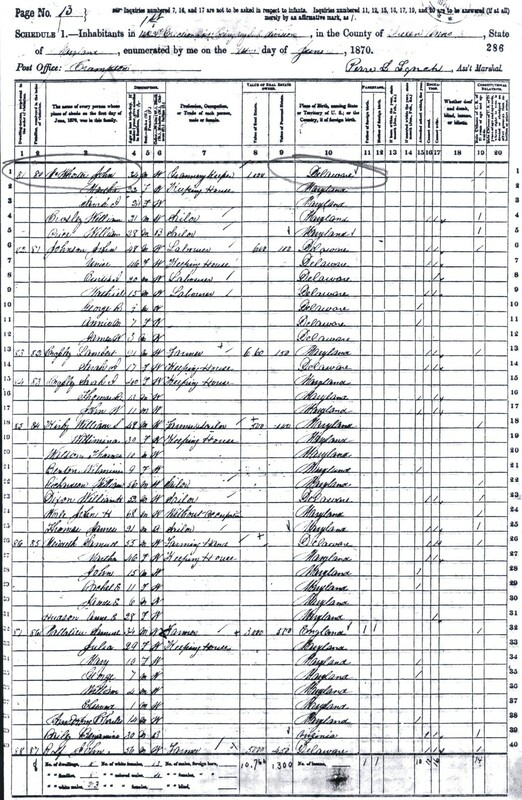 Washington A. Vickers, age 78, is shown in a 1920 census residing in Georgetown, Sussex County, Delaware. A bio. of Washington Vickers is mentioned in the local paper Delaware Wave, Wednesday, July 6th, 2005, page AT6 & AT11. Photo and other information donated by and added with permission of granddaughter Marjorie Hudson Wellborn, of the United Daughters of the Confederacy, Caleb Ross Chapter #2635. Click here to read Marjorie Hudson Wellborn's notes on her Grandfather, Washington A. Vickers. Click here to look at the service record of Washintgon A. Vicker, donated by Granddaughter Marjorie Hudson Wellborn. ~ Watts, Alexander; rank unknown, 51st Georgia Infantry, company unknown. Attended St. Mary's College in Wilmington, DE. Listed as residing in DE on the 1850 census and in Georgia on the 1860 census. ~ West, Joseph Jr.; 1st Maryland Cavalry, Co. "E". Other Info: Born 1835; resident of New Castle, Delaware. ~ White, David Henry; mess steward, C.S.S. Alabama. He resided in Sussex County, Delaware and is listed in the New York Herald's November 1862 article as "colored", listed on the 1850 census with his parents and siblings as "black", and listed on the 1860 census as "a black servant" (see links below). David served onboard the C.S.S. Alabama as a full-fledged member of the crew and received a full seaman's pay as a mess steward. David came to be upon the Alabama after the vessel he was employed on, the Tonawanda, was captured on the date October 9, 1862 by the Alabama. David was listed as an assistant in the galley, and within the New York Herald article is mentioned as an apprentice, and under under the laws of the state of Delaware of that time, would have been freed when of age 21, thus when captured by the Alabama, David was taken on board as contraband by articles of war of the time (because David did not have free papers) and was eventually freed by Raphael Semmes and was then employed by the Alabama. Two crewmen were also enlisted from the captured Tonawanda, an ordinary seaman, William Halford, and David White, the 17-year-old slave (as noted by the Alabama). The Tonawanda, navigated by its captain, Theodore Julius, was in route from Philadelphia to Liverpool, England. On the Alabama, David became a popular wardroom mess steward, as well as a paid crew member of the ship; David White repaid this action with faithful service. Upon word of Lincoln's emancipation and while in port in Australia, David refused to return to Delaware against the wishes of Federal loyalist. David, who could not swim, went down with the ship after the battle with the U.S.S. Kearsarge near Cherbourg, France, on Sunday the 19th of June, 1864. It is unsure whether David was a slave, an indentured servant, or a Nanticoke Indian. The Nanticoke Indians were not supposed to have been left on Delmarva, were not recognized until later in the 1900's as having existed on the shore, and were supposed to all have been transferred westward on the infamous "Trail of Tears". In this case, looking at the censuses, all Nanticoke Indians would have been enumerated as "black" or "mulatto", therefore, seeing as David is listed with his entire family on the 1850 census, would lend that this was a free family (or at least not a slave family). Also, on the 1860 census, David is listed in the Lewestown hotel (enumerated in Millsboro, Delaware) as a servant and possibly looking for work; somehow the hotel used these servants as hired hands, thus how David came to be on the Tonawanda. Also of note, on the 1850 census of Edward Watson, the listed hotel keeper in Lewestown, is a Jane Wright (age 22, black female, born in Sussex County, Delaware). It is noted that the Wright surname is also of Nanticoke Indian heritage. Along with that of the captain of the Wavecrest (which was in route from New York to Cardiff), John E. Harmon (of Frankfort, Delaware), who was previously captured by the Alabama, it is therefore possible that David White, listed as "colored", was neither black nor slave, but Nanticoke Indian (the Nanticoke Indians of the time would not have had free papers, as they were residing in Sussex County (namely Millsboro area) and would not have legally "existed"). Ongoing research may prove or disprove this theory. Click here to view the 1850 census of David White (age 5) and his family. Click here to view the 1850 census of Edward Watson, hotel keeper of Lewes-Rehoboth Hundred, and Jane Wright. Click here to view the 1860 census with David (age 15) enumerated as a servant in Edward Watson's hotel in Millsboro. The article above was contributed by Jim Bowden and the Georgetown Historical Society. The above image is an excerpt from the New York Herald 1862 article concerning David White. Click here to see an excerpt from the New York Herald 1862 article about the capture of the Tonawanda and the hoisting of the C.S.S. Alabama's Confederate colors. Click here to see an excerpt from the New York Herald 1862 article about the hoisting of the C.S.S. Alabama's colors during an encounter of a Spanish merchant vessel. ~ Wooters, Alexander; Private, 1st Maryland Cavalry, Co. "E". Soldier added to the Delaware Confederate Monument April 2015. ~ Wright, Allen. Private, Choctaw Infantry, Captain Wilkin's Company. Attended Delaware College (modern-day University of Delaware) before entering Confederate service. 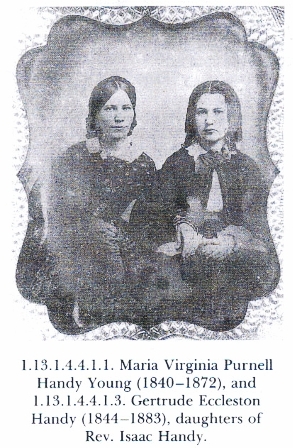 ~ Young, Maria Virginia Purnell Handy; 1840 - 1872. Worked in military hospitals and with the Confederate Treasury Department. Pre-war resident of Newcastle County, Delaware.